As part of the recent delivery, we received a lot of electronics, cables and ancillary equipment. We spent a bit of time moving things around and getting organised for the week. assemblies from the Land Cruiser into the auxiliary container. In addition to the electronics, there are a lot of cables. In fact a total of 576 signal cables were delivered, with a total length of 27268 metres! 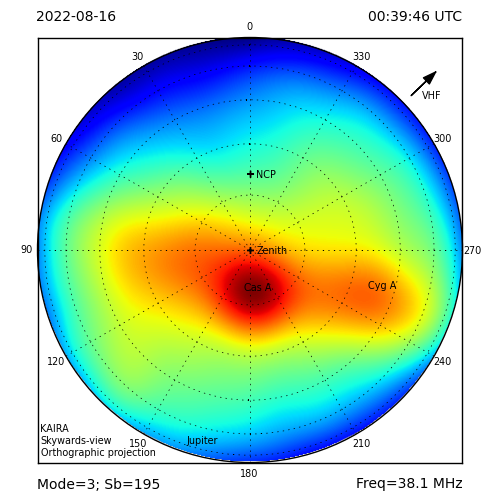 Of that distance, 96 cables (nearly 10 km in total) will be deployed as soon as possible onto the HBA field. 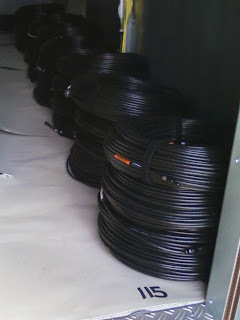 The remaining cables are either for the RF-container or for the LBA installation for next year. Although the quality of the supplied cables, we checked every single one for the signal attenuation and group delay to ensure that it is correct before taking it over to the RF-container for installation. Juha Vierinen uses the network analyser to check one of the cables. This work is being done in the so-called Lehtinen Barracks. 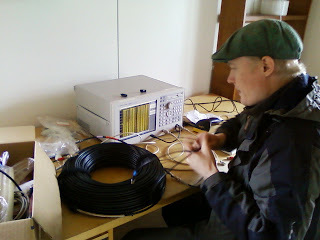 We spent a couple of evenings and one work day sorting out the measurement technique and then checking all the HBA field cables. The work went very quickly and the team's progress was outstanding. Once the testing was completed the cables were taken out to the RF-container where they are stacked ready for feeding through the cable ducts to connect to the antennas. 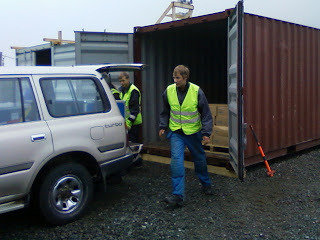 Santtu Rantakokko and Juha Vierinen unload cables from the Land Cruiser to the RF-container. Stacks of 115m cables in the RF-container, ready to go!